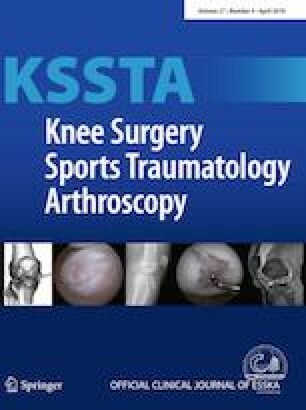 Both coronal and sagittal laxity of well-functioning knees after total knee arthroplasty (TKA) was examined, and the correlations between the joint laxity and the clinical outcomes were analyzed to clarify the adequate joint laxity for the prosthesis, and the relationship between the laxity and the outcomes. Forty well-functioning TKA knees with a high-flexion posterior-stabilized (PS) prosthesis were studied. All patients were diagnosed as having osteoarthritis with varus deformity and were followed up for 2 years or more. The coronal and sagittal laxity was assessed at extension and flexion, and the correlations between the joint laxity and the clinical outcomes were evaluated. The varus and valgus laxity averaged 5.6 ± 1.8° and 3.6 ± 1.2° at 10° knee flexion, and 7.4 ± 5.1° and 3.6 ± 2.7° at 80° knee flexion, respectively, and the AP laxity at 30° and 75° knee flexion averaged 8.7 ± 3.6 mm and 6.6 ± 2.3 mm, respectively. Knee flexion angle correlated with the joint laxity, while the other outcomes including patient-reported pain and instability were adversely affected by the greater laxity. This study exhibited the importance of consistent medial laxity both at extension and flexion, which averaged 3.6°. Care should be taken to maintain the medial stability and to obtain adequate laxity both at extension and flexion during surgery. A few degrees of medial tightness can be allowed to achieve excellent clinical results after TKA for preoperative varus knees. TW created the study design, conducted the study, collected, analyzed and interpreted the data, drafted the manuscript and completed the final manuscript. HKo, HKa, KO, YN, TM, IS and TJ conducted the study, collected the data and revised the drafted manuscript. All authors read and approved the final manuscript. This study was approved by the institutional review board of the Tokyo Medical and Dental University. Written informed consent was obtained from all participants included in this study.